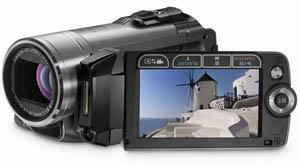 Connecting a camcorder to Mac is not very complicated and is not so different than connecting it to a PC, but it must be done properly in order to achieve a good result. This way, it is advisable that you make sure to be informed on whether the connection method works and how to follow the right steps before actually connecting them. After connect and download media files to Mac, you can watch them with your favorite media player, or convert to other video formats for further editing in iMovie, Final Cut Pro, QuickTime, etc. A 6 pin or 4 pin cable. Usually, camcorders need a 4 pin cable end in order to be able to connect to the Mac, although sometimes they might allow a 6 pin end as well. Step 1 Make sure your camcorder is set to the correct mode for importing photos and videos. For information on which mode to choose, see the instructions provided with your camcorder. If your camcorder has a sleep mode, make sure it is disabled or set to a time increment long enough to allow your images and videos to download. Step 3 Once the camcorder is connected, take the other end of the FireWire cable, the larger six pin end, and insert it into the FireWire port of your Mac. When both of the cables are connected, you can turn on the power to your video camcorder. Step 4 In a few seconds, your Mac should automatically launch iMovie. Follow the on-screen instructions on your Mac and begin the video transfer from your video camcorder to your Mac. 1. How to watch VHSs or DVDs using Mac? If you wish to watch VHSs or DVDs by using your Mac, it is also possible. In order to achieve such goal, you would need a converter box which would convert the video signal into a signal which your Mac would recognize and then allow you to watch. This converter box would intermediate between each device, and would cause both their signals to be compatible. When working with a converter box, you would need to connect it the video source as well as to the Mac. This way, you would need to use the cables necessary for both connections, and you should make sure they are the correct ones. It is recommendable that you learn how to properly achieve this before trying to do it. If you have any doubts, you should always consult each device owner’s manual or call the manufacturer’s customer service for advice. 2. How to use video from your connected or built-in iSight camcorder? You can use your iSight camcorder to record video directly into your iMovie project. This means you can spontaneously add clips to your project while you're working on it. Just connect your iSight camcorder to the FireWire port of your Mac and you're ready to start recording. If you have more than one camcorder connected, such as an iSight and a camcorder, or you have an iMac with a built-in iSight-choose iSight from the pop-up menu that appears when you switch to camcorder mode. Alternative, you need to convert camcorder to iMovie compatible video formats, such as MOV. 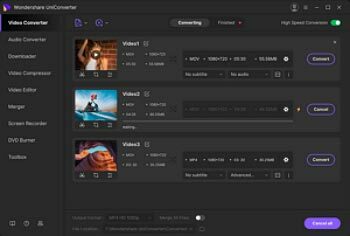 Learn about camcorder to MOV video converter for Mac (Mojave supported).